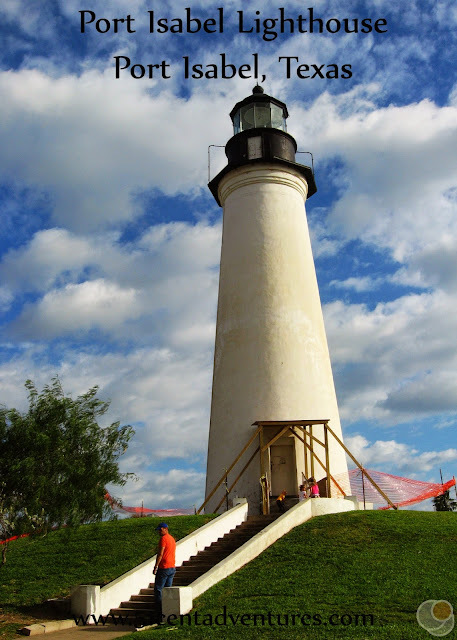 Description: This is the only historical lighthouse in Texas that is open to the public. It is only 50 feet tall and stands on a small knoll. Despite it's small size it is a charming place to visit. Cost: The basic price to tour the Port Isabel Lighthouse and Keepers Cottage is $3 for Adults, $2 for seniors, and $1 for students from kindergarten all the way to college (college students must have ID.) Children under 4 are free; however, children must be over 48 inches tall and over 4 years old to climb light house so this free price really only applies to the Keepers Cottage part of the tour. For only a few dollars more you can tour the the Lighthouse and Keepers Cottage as well as the Treasures of the Gulf Museum, and the Port Isabel Historical Museum. Prices for the "Combination Site Tour" are $7 for adults, $5 for seniors, $2 for students, and free for children age 4 and under. 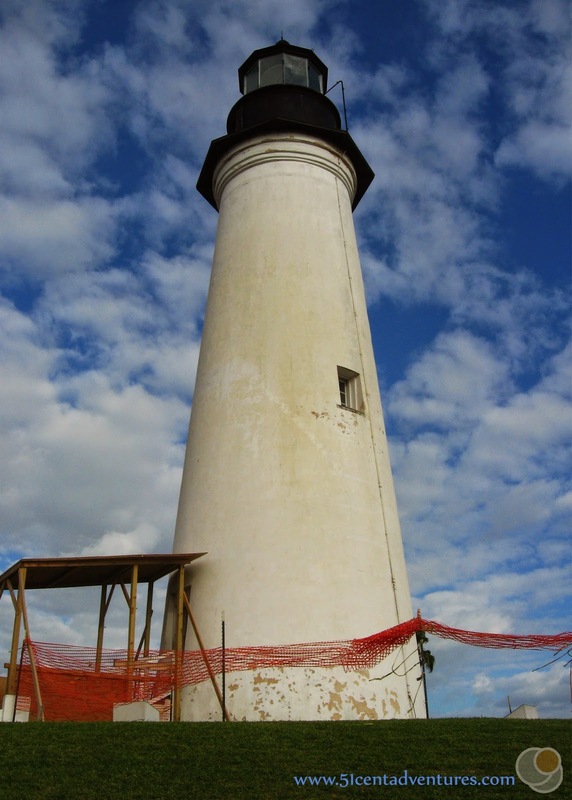 The lighthouse is a State Historic Site, but it is managed by the city of Port Isabel. That means you will still have to pay the admission fees even if you have a Texas State Park Pass. 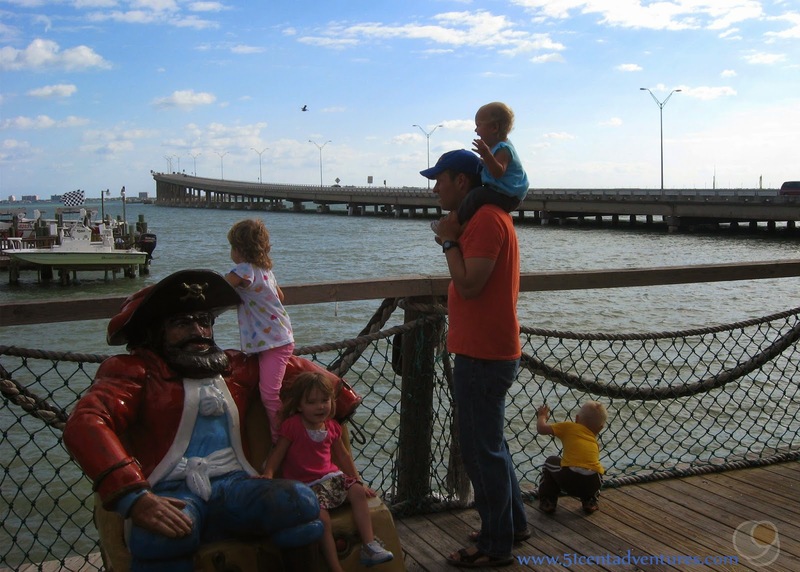 Recommendation: The lighthouse is only a block away from the Queen Isabel Bridge that connects South Padre Island to the main land. If you are going to visit South Padre Island you should stop and check out the lighthouse. However, it's probably okay to skip the tour because you can appreciate the lighthouse just fine from the ground. This was the first stop on the second day of the Texas Coastline Road Trip that my husband and I took our kids on in November of 2014. 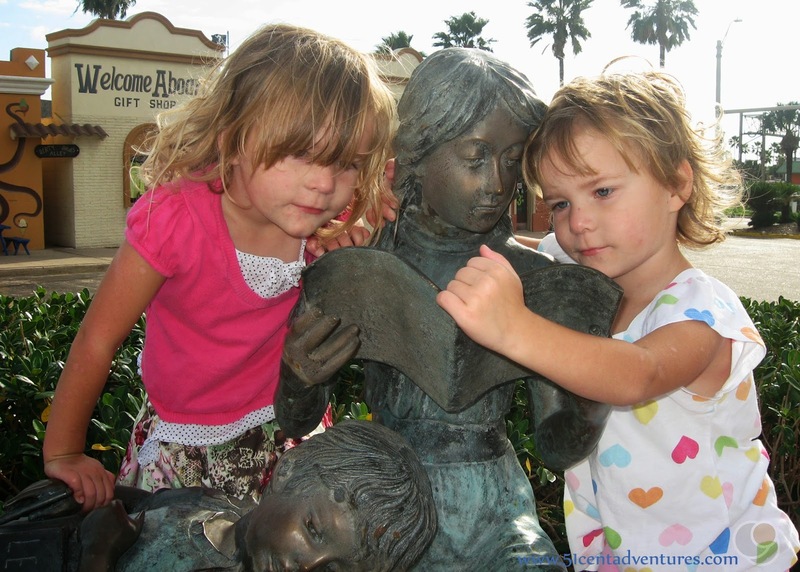 We'd spent the first day of our trip travelling from Fort Hood, Texas down to the city of Port Isabel. We'd arrived at the Port Isabel RV Park in the evening just before sunset. The six and a half hour drive had taken it's toll on our young children and none of them were interested in getting back in the car once we had our camp site set up. So we hung around the RV Park and waited until the morning to go sightseeing. I was looking forward to seeing the Port Isabel Lighthouse. I'm from Utah and so lighthouses have always seemed very exotic to me. Seeing the lighthouse was one of the reasons I'd wanted to visit Port Isabel. Of the 12 lighthouses built on the Texas Coast, this is the only one that allows visitors to tour the inside. That fact alone put the lighthouse onto our list of places to visit. Our vacation was during the first week of November and Daylight Savings Time ended during the first night of our vacation. That meant that our kids woke up at what would have been 7:30 but it was really 6:30. If we had been at home I would have grumbled, but since we had a lot of sightseeing planned for the day I didn't mind too much. We hurried to have breakfast and then put everyone in the car to go see the lighthouse. As we drove up to the lighthouse, I was surprised at how small it really was. In fact, I wasn't even sure it was the right lighthouse. It was barely 50 feet tall and looked almost like it belonged on a miniature golf course. At first I thought it was some sort of model of the real lighthouse. But it was the real lighthouse. And it was closed for renovations. That was okay because even though I had been looking forward to a tour of the lighthouse I wasn't so interested once I saw it's small size. It was just as well because we were there so early and tours wouldn't have been available anyway. I was fine just walking around the lighthouse and taking pictures. My kids enjoyed rolling down the lighthouse hill. A few minutes later I noticed a sign on the open gate that said the lighthouse was closed for restoration. We shouldn't have even been inside the little park. Oops. The Keepers Cottage was at the bottom of the hill. It was also undergoing renovations. A tour of the Lighthouse and the Keepers Cottage would have been nice, but I didn't feel like we were missing out on too much. I definitely recommend stopping to see this lighthouse if you are going to be in the area. But I don't feel like taking the tour is necessary. Sure it would have been kind of cool to look out from the top of the lighthouse, but since it was shorter than most of our modern buildings I didn't feel like I was missing out on a once in a lifetime view. Directions: The nice thing about lighthouses is that they are easy to see. The Port Isabel Lighthouse is visible for several blocks. It is located on the north side of Queen Isabel Boulevard which is also State Park Road 100. This road also becomes the causeway that leads to South Padre Island. 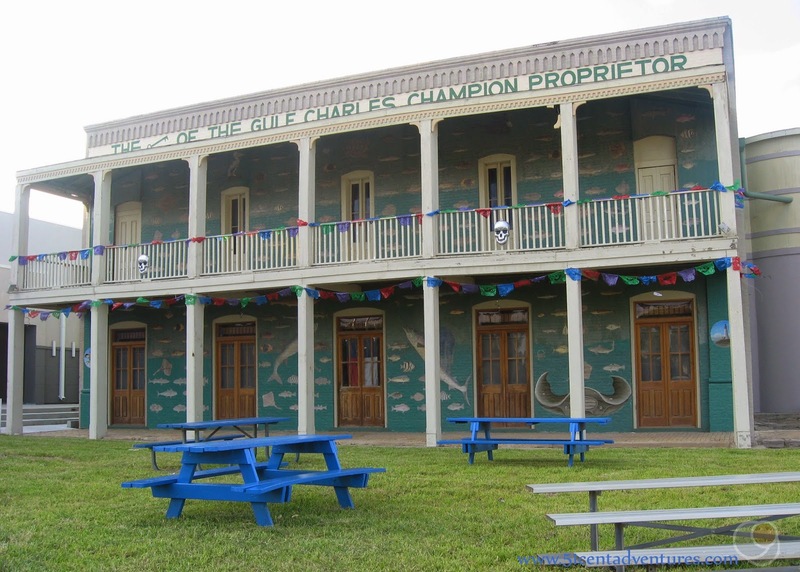 If you are looking for the Treasures of the Sea Museum or the Port Isabel Historical Museum they are located one block south of Queen Isabel Boulevard on Railroad Avenue. Additional Information: The Texas State Historical Association has published an excellent history of each of the 12 lighthouses that were built in Texas. You can find the Texas Lighthouse Series here: http://www.tshaonline.org/handbook/texas-lighthouses/28935. This series is very interesting because many of these lighthouses no longer exist. Of the few that do exist, the Port Isabel Lighthouse is the only one that allows tours. 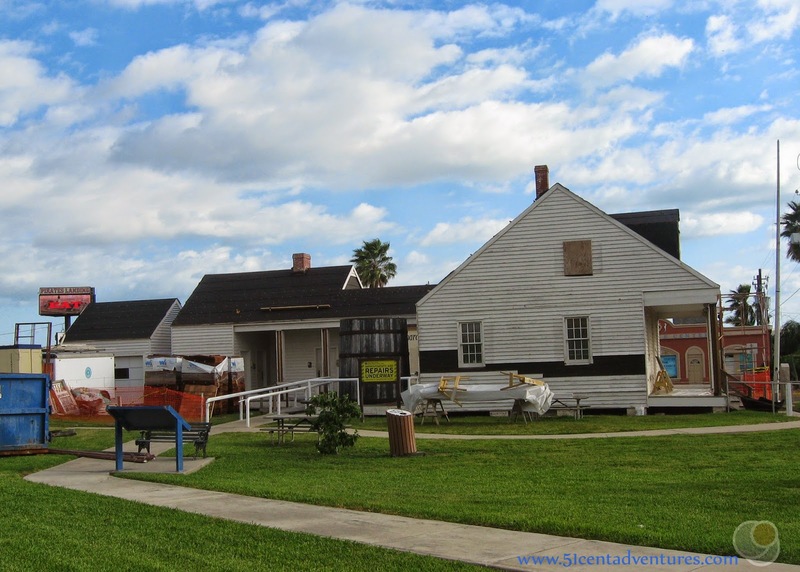 Places Nearby: For an additional price you can add a tour of the Port Isabel Historical Museum or the Treasures of the Sea Museum on to your Lighthouse tour. Because it was early on Sunday morning, and nothing was open, we didn't go see the other museums. We did stop and take a picture of the fish mural that is on the outside of the Treasures of the Sea Museum. We did enjoy walking around the area surrounding the lighthouse. There are cute little ocean themed shops and restaurants. I'm sure that at certain times of the year this place is swarming with tourists. There were only a few other people out and about while we were there. It almost felt like we had the place to ourselves. Next Stop: The beach on South Padre Island.